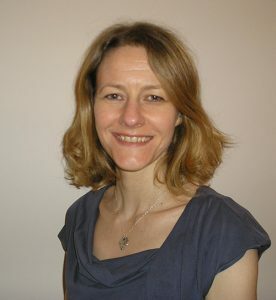 Fiona qualified as a Chartered Accountant in 1999 having trained with what was then the largest firm of independent chartered accountants in Scotland, Scott Oswald (Merged with RSM Tenon). Her training gave Fiona a good grounding in accounting, particularly in the skill of preparing accounts from bags and boxes of random documents, politely known as ‘incomplete records’. Having moved to Grant Thornton in 2000 and initially working in the audit department (described by one client as an auditor who wouldn’t just accept the first explanation given), Fiona discovered the world of forensic accounting on a secondment in 2003. With a fascination for numbers and a passion for problem solving this proved to be the career change Fiona was looking for and she has worked in forensic accounting since 2004. As well as experiencing forensic accounting as part of a UK-wide team at Grant Thornton, Fiona has developed her forensic skills within the Corporate Finance team at Johnston Carmichael and in the Forensic Accounting team at Henderson Loggie before setting up Willis Wood in 2013. Outside work Fiona enjoys Argentine Tango and Salsa dancing and trying to emulate Mary Berry and Paul Hollywood in the kitchen. To request Fiona’s full CV, please complete the enquiry form on the Contact page or see Fiona’s profile on LinkedIn. Fiona has completed the Core Collaborative Training course for Financial Neutrals run by Consensus Collaboration Scotland and is now a member of Consensus and IACP. This enables Fiona to provide business valuation and other ad hoc assistance in divorces where the parties have engaged solicitors to help them make informed decisions and find their own outcome without resorting to litigation.